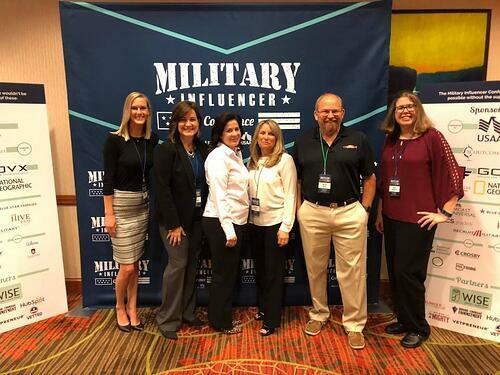 MilitaryByOwner Advertising's co-founders Dave and Sharon Gran, along with the MilitaryByOwner content team, attended the first Military Influencer Conference in Dallas this week. Presented by USAA, the event brought together business owners, digital entreprenuers, and military related bloggers and writers--all united by a shared passion for the military community. What a whirlwind few days! Surrounded by others with the same vision created an energy that seemed palpable at times. Currently the only event of its kind, attendees made the most of the information shared, expert panels and speakers, and possibilities in making new connections. As Dave noted, "The conference is not only a venue to hear the stories and advice from successful entrepreneurs, but an opportunity to network and build relationships." Featuring topics ranging from entrepreneur support to how to market your brand, the panels were amazing! One favorite was the Shark Tank Survivors Panel, consisting of military entreprenuers who'd "survived the tank." R.Riveter, Combat Flip Flops, and Bottle Breacher gave a behind the scenes look at the process and fielded questions from the audience. We also had an inside look at the upcoming The Long Road Home series on National Geographic, based on the book of the same name, which chronicles the events of "Black Sunday" 2004 in Sadr City, Baghdad, with producers and two survivors of the ambush. This discussion definitely hit home to an audience filled with military veterans and spouses. Topics included how to grow a business in spite of PCS (Kayla Roof), creating brand ambassador opportunities (Ellie Kay), and improving your web presence (Josh Elledge), along with more than can possibly be listed here! Speakers were energetic and ready to share their knowledge. One speaker noted that he'd never seen such an engaged and rapt audience! 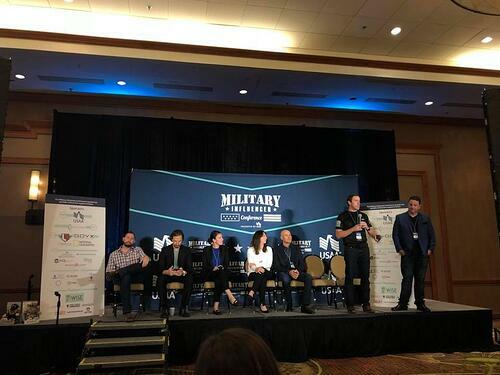 Perhaps part of the reason was one feature of the conference that Sharon noted: "The Military Influencer Conference is the only conference around for military spouses, veterans, and active duty members who blog, write, speak or own businesses in the military space to come together and learn from each other." MilitaryByOwner bloggers Danielle Keech and Dawn M. Smith, ready for the Brands and Blogging session! 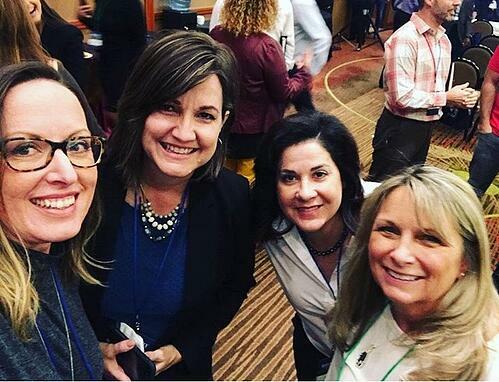 One of the greatest aspects of this conference was the opportunity to make new connections and strengthen existing ones. It was a delight to meet in person several of the companies and guest bloggers that MilitaryByOwner has worked with in the past. While we all came away bursting with ideas and inspired by the success of others, here are a few specific takeaways from our team. "Our niche is in constant change. Staying engaged with those that drive it is the path to success!" "It was exciting to gather with my MilitaryByOwner familiy for this event. Honestly, it was a little surprising to quickly make new friends who already seem like family! The small group sessions were such a rewarding part of the conference experience. Plus, COOKIES!" "I thought the idea of the 'warrior class' was awesome; I'd never heard that. 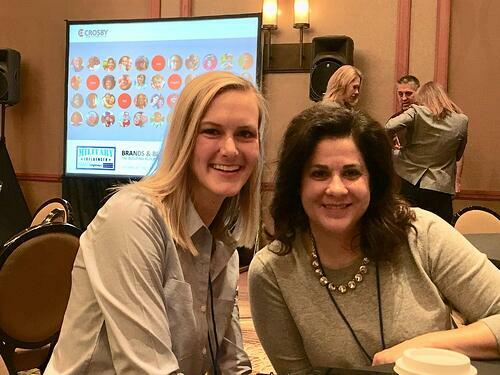 Glad to make the one-on-one connections between virtual friends from both MilitaryByOwner and milspouses. Heartened to realize the depth of resources for education and work/life improvement. Grateful so many professionals and experts came to share information and guidance!" "I know from experience that the digital military, military spouse, and veteran community is one to foster growth. But I was nowhere near prepared to interact with some of the most kind, tolerant, supportive, knowledgeable, and experienced people out there. They were generous with their time and so willing to teach!" I can't add much to the above. It was an amazing opportunity to learn more and connect with others in the military space. Thanks to organizer Curtez Riggs, all the sponsors, and the folks handling the behind the scenes (Wise Advise + Assist Team, I'm looking at you) who provided such a great event! 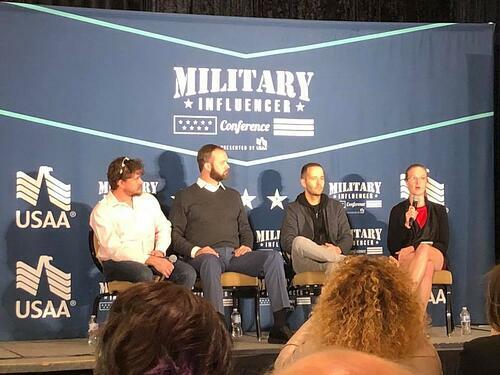 If you're interested in attending next year's Military Influencer Conference, plans are already underway for the event to be held in Orlando from September 22-25, 2018, so mark it on your calendar! Images courtesy MilitaryByOwner team and MILLIE.